What Was Steve Jobs' Email Address? Did Steve Jobs Answer Email Personally? How Did the Apple CEO Reply to Emails? Steve Jobs may have passed away in 2011, but he remains a legend in the minds of many people. Jobs was known to get to the point of any matter before him and his email correspondence was no different. As is the case with many CEOs of big companies, Steve Jobs had an email that was very straightforward. While at Apple, his email addresses were quite simply: sjobs@apple.com and steve@apple.com. As of 2016, these addresses are still not bouncing back to the sender. During his time as CEO of the new Pixar Animation Studios (from 1986-1996, in between stints at Apple), his email address was much shorter: ​sj@pixar.com. Did Steve Jobs Reply to Emails? Steve Jobs had many fans, especially after Apple began releasing the company's famous mobile devices. It began with the 2001 introduction of the iPod and he only gained more fame as each new iPhone was released after the first generation came out in 2007. 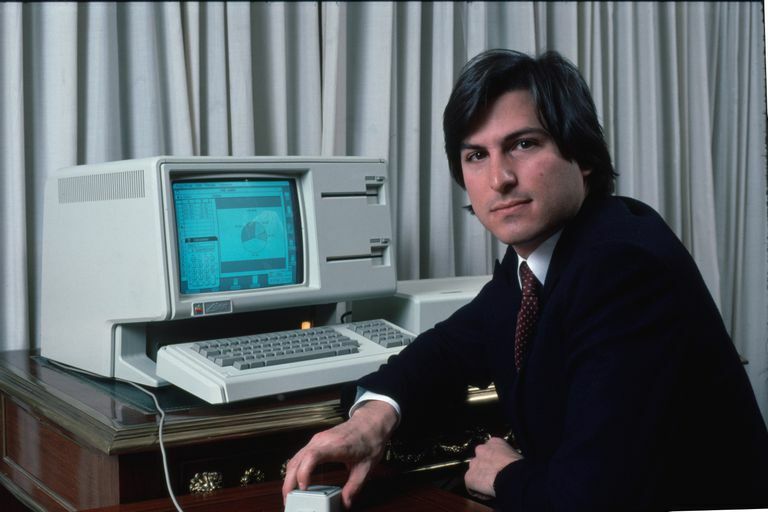 By this time, he had become Fortune Magazine's "Most Powerful Businessman" and he was a household name, even beyond the subculture Macs and computer geeks. With such fame comes many questions and even a few conspiracies. Many Apple users emailed him never expecting a reply and many did not receive one. However, on occasion, they did get a response and many were so shocked and elated that even the shortest emails went viral in the Apple-sphere. Jobs' emails were often in line with his in-person manner of communicating: short and to the point. The New York Times reported in 2010 about one email response that simply said "Yep." This was in response to a user's question about whether the iPhone and iPad would have the ability to sync in the future. As you can see in places like a Tumblr dedicated to Steve Jobs emails, these frank emails were not uncommon. Yet, he was also not beyond adding a few extra words like "Next release will be awesome" when replying to a rumor that Apple had cut engineers working on Final Cut. Was It Really Steve Jobs? The next questions that came up were whether it was really Steve Jobs who was replying to the emails. Given the characteristics of the replies, many people believe that it was and that the emails were not being funneled through some complex corporate maze. Case in point: When blogger Mike Solomon wrote Jobs about a frozen iPhone, he received an almost immediate response. The reply was also not in the usual PR-speak we expect from a secretary or assistant. Instead, the email ended with "Plus some cool new stuff too." According to The New York Times article, it also seems as if Jobs' replies to Apple users increased after his medical leave when cancer forced him to take some time off. What it shows is that Jobs was not only dedicated to his company, but to the people who used the innovative products he created. While it would not be expected for anyone to reply to hundreds or thousands of emails they received, it was nice to know that you might get a response from Jobs. This alone sent the Apple-sphere into a whirlwind and this seemingly small personal touch only added to the appeal of Steve Jobs, even years after his death. What Is Homer Simpson's Email Address? Want to Send Bill Gates an Email?